Learning how to record and produce music can be an exciting and rewarding way to showcase your musical talent, be it as a singer, instrumentalist, composer/songwriter or music producer. You don’t need lots of expensive equipment to get a great sounding result. Leo Damiani teaches in Bentleigh studio. Multi-instrumentalist Leo has over 20 years experience in the music industry as a songwriter, performer, producer and audio engineer. Recently he has produced pop tracks released by a major record label and has established his own independent record label. Down-to-earth and professional, his passion is to encourage and inspire emerging artists in reaching their full potential. Learn Music production and have great fun. 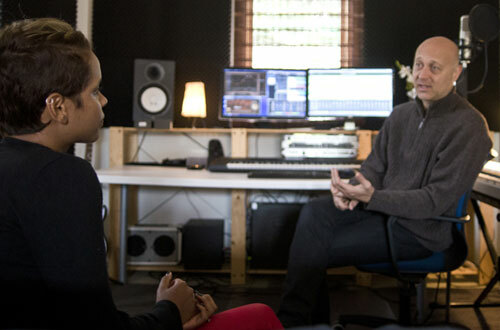 Our teacher will guide you through all levels of Music production.